We conclude our series of year end reviews of 2017 in cinema with our 10 favourite films of the year – let us know if you agree in the comments! Thanks for reading and we’ll be back with more reviews in 2018! The latest film from Park Chan-wook, the Korean master behind ‘Oldboy‘, is a spectacular psychological thriller adapted from an English novel, with the location switched to Korea under Japanese colonial rule. The premise follows a woman who is hired as a handmaiden to a Japanese heiress, but unbeknownst to the heiress, the handmaiden is secretly involved in a plot to defraud her and steal her fortune. The story develops from this simple ‘conman’ setup into a film that is at times a melodrama, at times an erotically charged doomed romance story, and at all times an edge of your seat gripping and twisted thriller. It’s thrilling to watch all of the pieces come together and this is superb cinema from a director at the peak of his powers. The very first film I saw this year is also one of the best, a superb fantasy adaptation focusing on a young boy coming to terms with his mother’s terminal illness. 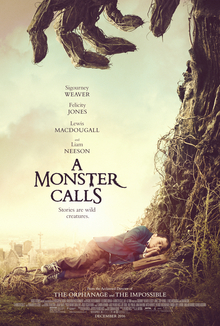 Led by a stunning performance from the then 12 year old Lewis MacDougall, ‘A Monster Calls‘ balances fantasy elements with the dark material superbly, and this is one of the most affecting and moving pieces of cinema I watched this year. With the greatest of respect, an almost three hours long German comedy isn’t likely to strike many people as a must watch, but ‘Toni Erdmann‘ is a curious beast and it’s a truly superb piece of work. Centering on an eccentric music teacher, it follows his attempts to bond with his cold and distant daughter in Bucharest, largely through inventing the character of a ‘life coach’ called ‘Toni Erdmann‘ and turning up in social situations. As funny as it is weird, this is a terrific film and it would be great if it managed to attract a wider audience. Give or take a ‘Toni Erdmann‘, the funniest film of the year is ‘The Disaster Artist‘, a ‘making-of’ movie based on the story behind the cult classic of bad cinema that is ‘The Room‘. 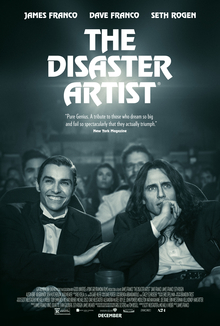 James Franco leads a starry cast as the unique Tommy Wiseau, and much of why ‘The Disaster Artist‘ succeeds is because there is a clear love and affection for ‘The Room‘ from the filmmakers, who choose not to merely mock what is indisputably a terrible piece of work. I wasn’t sure how funny this would be to those who hadn’t seen ‘The Room‘ but I’ve spoken to a couple of people who went in blind and loved it, so don’t let that put you off! 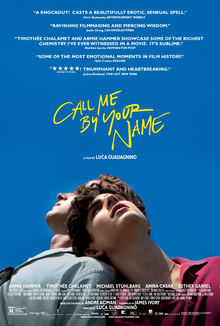 The most romantic film of the year is ‘Call Me By Your Name‘, a coming of age drama about a teenager (Timothée Chalamet) who falls in love with the American academic (Armie Hammer) who comes over to Italy to work with his father. It’s beautifully crafted with a wonderful soundtrack (including contributions from Sufjan Stevens), and the performances are superb from the central cast (add Michael Stuhlbarg to the two already mentioned) – it’s as perfect an encapsulation of young love as you’ll see on screen in a long time, and it’s particularly worth hanging around to catch the mesmerising end credits scene. ‘Blade Runner‘ is one of my favourite films of all time, so the thought of a sequel filled me in equal parts with excitement and dread. 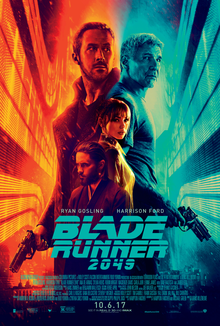 Thankfully, in the hands of Canadian director Denis Villeneuve (he of ‘Sicario‘, ‘Arrival‘ and ‘Prisoners‘), ‘Blade Runner 2049‘ is an outstanding movie that builds on the themes developed in the original to tell a smart, thrilling science fiction story. The cinematography is particularly incredible, whether it be rendering the neon soaked streets of future LA, or the abandoned dusty dystopia of a future Las Vegas, and it’s a film I could have easily spent more time with, even after it had clocked in at a meaty 163 minutes. Jordan Peele’s spectacular debut feature is an unusual blend of horror, comedy and social politics, telling the story of a young black man (Daniel Kaluuya), who goes to visit his white girlfriend’s parent’s for the first time at a fancy estate in the country. It’s a film with a lot of subtext about the black experience in America, but the success of the film comes from how seamlessly Peele manages to blend his themes and biting social commentary with a movie that is wildly entertaining throughout, and ‘Get Out‘ is comfortably one of the year’s best films. 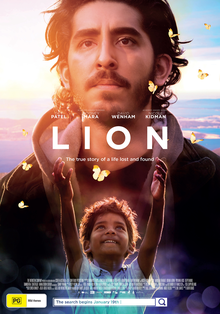 Based on a phenomenal real life story, ‘Lion‘ tells the tale of Saroo (Sunny Pawar as a child; Dev Patel as an adult), a 5 year old Indian boy who became separated from his family and after a series of events, ended up being adopted by an Australian couple. The film splits its time between the present day, where Saroo attempts to track down his family, and the past, where we follow 5 year old Saroo, scared and alone, as he attempts to find his way back to his family. The film is half way to success with such a superb story at its heart, but it becomes a great film through the wonderfully engaging performances, namely 5 year old Sunny Pawar who carries a large part of the film, often acting opposite no one but himself. I was gripped throughout, emotionally invested in the characters and was completely in thrall to the way the narrative reached a conclusion, and I really loved this film. 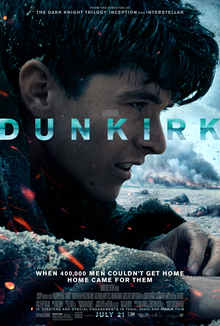 Christopher Nolan’s ‘Dunkirk‘ is unlike any war film I’ve seen before, a truly immersive experience (especially on an IMAX screen) that depicts the evacuation of 350k troops from an extremely dire situation. Loosely following three story strands across a non-linear timeline, Nolan puts you right in the situation with the soldiers and you can almost feel the fear and panic through the screen. Christopher Nolan is a filmmaker at the pinnacle of his ability and ‘Dunkirk‘ is another superb entry in his impressive resume, and it is undoubtedly one of the best cinematic experiences of the year. My favourite film of 2017 is a lower key entry than the previously discussed ‘Dunkirk‘, but it is no less powerful. It’s a French film called ‘Heal the Living‘ and it follows the intersecting lives of different characters through the overarching story of an organ transplant, with viewpoints coming from patients, families and doctors. In the hands of Hollywood this premise could have become mawkish and overblown, but ‘Heal the Living‘ is subtle, delicate and accomplished, tackling difficult storylines with tact and compassion. It has incredibly affecting performances from the entire cast and it skilfully and confidently moves between them as the larger story director Katell Quillévéré is telling starts to take shape, culminating in a beautifully resonant ending. I suspect most readers will not have heard of this film, far less seen it, but I hope this summary and the full review persuade you to seek it out – my favourite film in another strong year for cinema. We’ll be back in 2018 with more reviews of the latest releases and some more classic reviews. Thanks for reading!